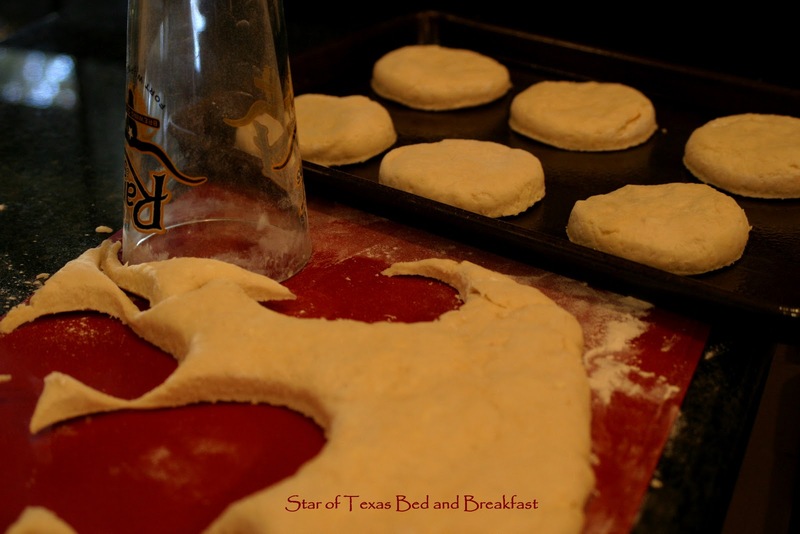 Elsie’s Biscuits are a recipe that came from the Blueberry Hill Inn, and we now serve at Star of Texas Bed and Breakfast. They are a great biscuit and can be frozen and reheated, but right out of the oven with butter and jam just can’t be beat. enjoy! Sift the flour with the baking powder and salt. Cut in the butter, then add the other ingredients. Stir only until combined. Toss the dough in a little flour and pat it down with hands, do not roll it. 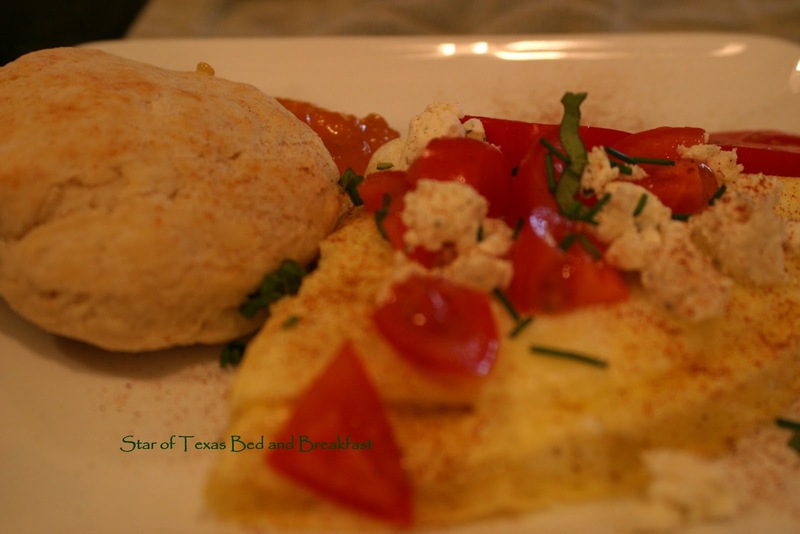 When it’s 1/2″ thick cut into biscuits and place on lightly greased pan. Bake for 12 minutes in a hot oven of 450*. When they are light and golden, they are perfect. Makes 8 large, 15 medium or 30 little biscuits.